CHRISTOPHER R. DECKER – Born April 24, 1963 Santa Barbara California.Graduate, Buckingham Browne & Nichols School, Cambridge Massachusetts, 1982; Bachelor of Arts, (Economics and Political Science) University of Vermont, 1986; Juris Doctorate, University of Denver College of Law, 1995; Graduate, Trial Practice Institute, National Criminal Defense Collage, Macon Georgia, 2006. Member: American Bar Association, Colorado Bar Association, Colorado Criminal Defense Bar(Board of Directors 2003-2016) (President 2015-2016), Colorado State Bar, Denver Bar Association, National Association of Criminal Defense Lawyers, Federal Bar State of Colorado, 10 th Circuit Court Of Appeals.Since entering the practice of law in 1995 Mr. Decker’s commitment to defending the criminally accused has been both extensive and exclusive. He began by volunteering his time at the Colorado State Public Defender’s office in his first year of law school, working in the Denver’s original “Drug Court”. In the following years he was awarded two internships with the Colorado Public Defender, and successfully tried cases to verdict under the Student Practice Act. Upon his graduation in 1995, he was hired as a Deputy State Public Defender as a trial attorney. Mr.Decker practice as a Deputy State Public Defender for more than a decade and was assigned to the Colorado Springs, Arapahoe, Douglas, Adams and Denver trial offices. During his years of service as a Public Defender he handled literally thousands of criminal cases ranging from D.U.I. to murder in the first degree. 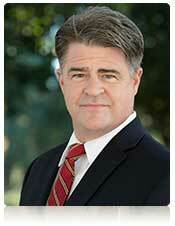 Mr. Decker has won numerous and significant trial verdicts for his appointed clients. He has won complete acquittals in cases charging sexual assault, first and second degree assault, drug possession and distribution, burglary, theft, menacing, witness intimidation, kidnapping and murder. He has also written several successful criminal appeals being published in People v. Lewis, 975 P.2d 160 (Colo. 1999); and again in People v. Borland Robertson, 56 P.3d 121 (Colo. App. 2002). Mr. Decker has tried to verdict over 175 cases in his career. In the past three years alone, he has tried sixteen cases alleging sexual assault or unlawful sexual conduct. Mr. Decker regularly provides consultation to other attorneys in the area of sexual assault defense and has been qualified in five different Colorado jurisdictions to give testimony as an “expert” in matters related to criminal law defense. Mr. Decker has taught trial practice classes, lectured on Sexual Assault defense techniques, and conducted continuing legal education seminars for attorneys in Colorado. He is also a graduate of the National Criminal Defense Collage in Macon Georgia, which is taught and attended by America’s top defense lawyers. The specialized training he received at the NCDC Trial Practice Institute included exposure to the most advanced techniques of witness examinations, trial strategy and methods of persuasion. Mr. Decker has tried to verdict over one hundred cases and successfully settled thousands more. By joining David R. Jones in his established Denver practice, Mr. Decker is now a part of a firm which is unmatched in its specialized trial experience handling serious criminal charges in Colorado. Together, Mr. Decker and Mr. Jones deliver a superior level of commitment and expertise which yields positive results.